OUCH!! MAYBE?? McEric here to share a trailer I just watched with all you fine people. To preface this, I was minding my own business eating nacho-flavored corn tortilla chips that weren’t Doritos, though now that I realize that, I don’t think that I can legally say I was eating nacho-flavored corn tortilla chips that aren’t Doritos because I’m pretty sure they’ve trademarked the intellectual property that is nacho-flavored corn tortilla chips. So, for legal purposes, I was eating something that may or not have been Nacho Doritos(™) when I came across this trailer for the film PAINLESS. Let’s give it a watch, shall we? To be fair, the limited trailer shows some shimmers of decent performances from Joey Klein, Kip Gilman, Evalena Marie, and Pascal Yen-Pfister, and, yes, I did just have to look up all of those names on IMDb. However, I think it says something to the power of the trailer that I did. Though I feel this movie will eschew science (if you can’t feel pain then you can’t feel, and therefore can’t pilot your body through the physical world, i.e. know when your feet are on the ground or not) and reason, and ultimately pose a question no one cared to ask (“If you couldn’t feel pain, would you wanna?”), the performances at least make me care enough about the characters to know what they’re up to. This film has already swept up a few awards, including an Actor award for Klein at last year’s Austin Other Worlds Fest, so I have to defer to others and concede that it’s worth checking out. 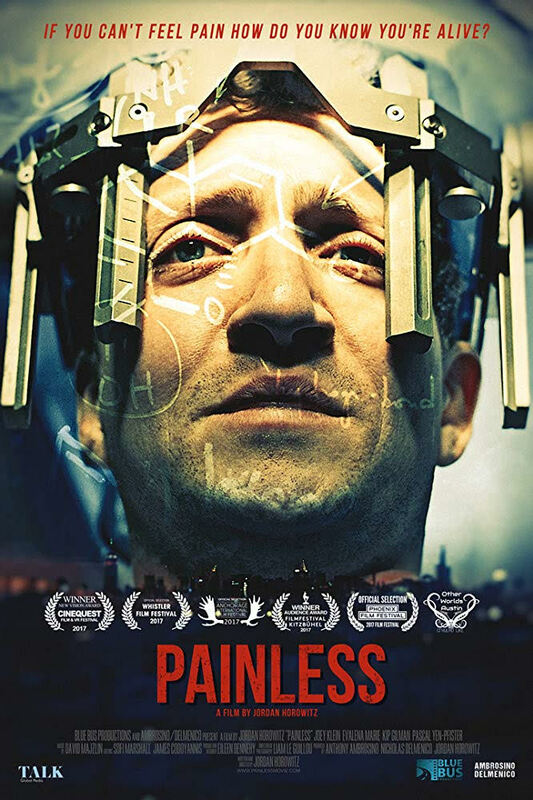 Written and directed by Jordan Horowitz, PAINLESS seems to be film that exceeds in performance where it falls short in concept. What do you all think? Is it worth the risk of pain to watch PAINLESS? Will it live up to its namesake? Can any old snack company make a nacho-flavored corn tortilla chip without fear of litigation or are we living in an oligarchy of the Bold? PAINLESS enjoys a limited run at the Laemmle Music Hall in Beverly Hills September 21th-27th and will be released on DVD and VOD on October 2nd, 2018. 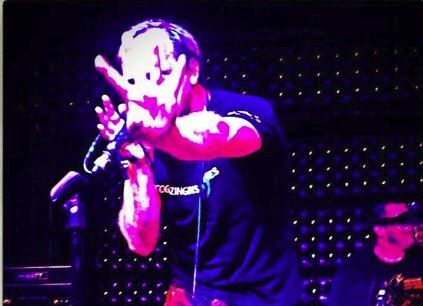 Until next time, I have some orange fingers to attend to.